The association’s Fifth Annual Senior Marketers Monitor report showed budgets are expected to increase by an average of 3.4 per cent in 2014, compared with 1 per cent growth last year. Of those surveyed, 41 per cent anticipated budgets rising, compared with 38 per cent who see budgets remaining largely unchanged. Organisations with a turnover of less than $150 million were more likely to expect an increase this year, with the average a “healthy” 18 per cent, AMI’s CEO, Mark Crowe, said. Half of organisations with up to 100 staff also predict more marketing budget is coming their way. In addition, the report found 77 per cent of senior marketers feel positive about the role and influence of marketing in Australia, a figure on par with previous years, AMI stated. When it comes to areas of investment, 49 per cent of respondents said they are using content marketing more and expenditure will continue increasing this year. 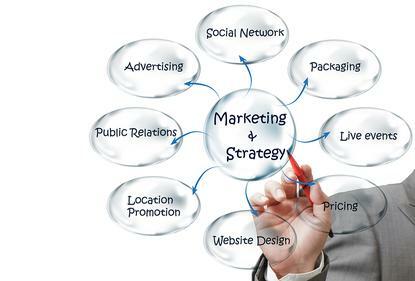 Other strong areas of marketing investment are online advertising, public relations and mobile advertising. The top priorities for Australian marketers in 2014 are measures to increase sales, customer acquisition, maximising efficiency of marketing expenditure, maintaining or building brands, and identifying more profitable market segments. Crowe said the results indicated the focus on efficiency and brand building is less than in previous years. The challenges reflect these priorities, and include effectively getting messages to market, acquiring new customers, maintaining current customer bases, and maintaining pricing and margin. The research was conducted by the AMI and Colmar Brunton and is in its fifth annual edition. This year’s results were based on surveys of 261 senior marketers conducted between November and December 2013.